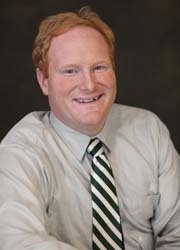 Bryan Proksch is assistant professor of music history at Lamar University in Beaumont, TX. His research centers on the reception and “revival” of Haydn’s music in the early twentieth century, although he also works more generally on Viennese Classicism and the history of the trumpet. His essays have appeared in the Journal of the American Musicological Society (2011), the Journal of Musicological Research (2009), the Journal of the Arnold Schoenberg Center (2012), the Historic Brass Society Journal (2008 and 2011), the International Trumpet Guild Journal (2003, 2007, 2009, and 2011) and elsewhere. His entry on Herb Alpert is forthcoming in the New Grove Dictionary of Music and Musicians. He has spoken at symposia held by the Haydn Festspiele in Eisenstadt, Austria (2011), by the Arnold Schönberg Center in Vienna (2006), by York University in Toronto, Canada (2009) and at meetings of the American Musicological Society (2005, 2008, 2013) and the Historic Brass Society (2008 and 2010). In 2007 he received grants from the Avenir Foundation for a month’s residence at the Schönberg Center to study that composer’s aesthetics and analytic techniques. In 2010, the Historic Brass Society gave him the Joe Utley Foundation Streitwieser Award for his ongoing work on trumpet history. His service includes working as the creator and editor of the International Trumpet Guild Journal’s “Repertoire Corner” column, as the newsletter/website editor for the Historic Brass Society, and as the organist and music director at St. John’s Lutheran Church in Lake Charles, Louisiana. In 2012 he earned his Service Playing Certificate from the American Guild of Organists. Bryan received his undergraduate degree from Centre College (KY) and his Ph.D. from the University of North Carolina at Chapel Hill. His master's thesis work while at Penn State was advised by musicology professor Charles Youmans.